Network security is a completely changing area; new devices like IDS (Intrusion Detection systems), IPS (Intrusion Prevention systems), and Honeypots are modifying the way people think about security. Companies are spending thousands of dollars on new security devices, but forgetting the basic, the first line of defense: the border router. Although a lot of people may think that routers don’t need to be protected, they are completely wrong. A lot of secure problems appear all time against this kind of device and most of them are vulnerable. There are 8 steps, easy to follow, to minimize your Cisco router exposure by turning off some unused services, applying some access control and applying some security options available on that. Where $your router IP is your router IP and x0/0 is your external interface. We will always use this convention in this article. Telnet is not a very safe protocol to use, but if you really need to use it (you should always use ssh) you might want to restrict all access to it (remember that all your traffic will be unencrypted). The best way to accomplish that is using a standard access-list and the access-class command. interface and you can reject broadcast and multicast addresses too. A very important thing to do is protect all your passwords using the powerful algorithm as possible. The password from exec mode, that grants privileged access to the IOS system, can be set using a MD5 hash, which is the strongest option available on the Cisco IOS. All other passwords, you can encrypt using the Vigenere cipher that is not very strong, but can help. 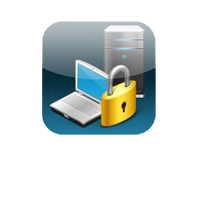 To do that, you can use the service password-encryption command that encrypts all passwords present in you system. To finish, you must log everything on an outside Log Server. You must everything from all your systems and always analyze the logs. With these simple steps you can add a lot of security to your router, protecting it against a lot of possible attacks, increasing your network security. 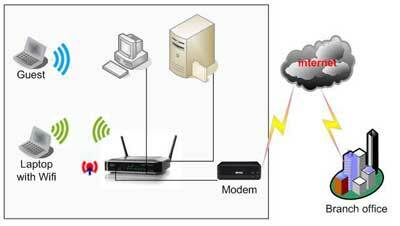 Cisco routers are a brand of networking equipment that allows users to create local area networks. Cisco routers are generally used in corporate environments and require specialized training and certifications to properly administer. If you have a Cisco router and want to quickly open the ports used by the Microsoft Exchange Server so it can function properly, which ports you open depends on how your particular exchange server is set up, but in general, the most common ports are ports 110 and 25, the incoming and outgoing mail server ports. 1. Connect to your Cisco router via telnet. This process varies widely depending on the router model you have, along with your particular network configuration, so consult your network administrator if you are unsure how to connect to your router. 2. Type “access-list port_number allow tcp any host $router_IP_Address” into the command line, where “port_number” is the Exchange Server Port you want to allow through the router and “router_IP_Address” is the IP address of the Cisco router. 3. Press “Enter” to add the port rule to your router. Repeat Steps 2 and 3 as needed to open as many ports as are required by your particular Exchange Server setup. 4. Close your telnet session by typing “exit” when you are finished opening ports on your Cisco router.